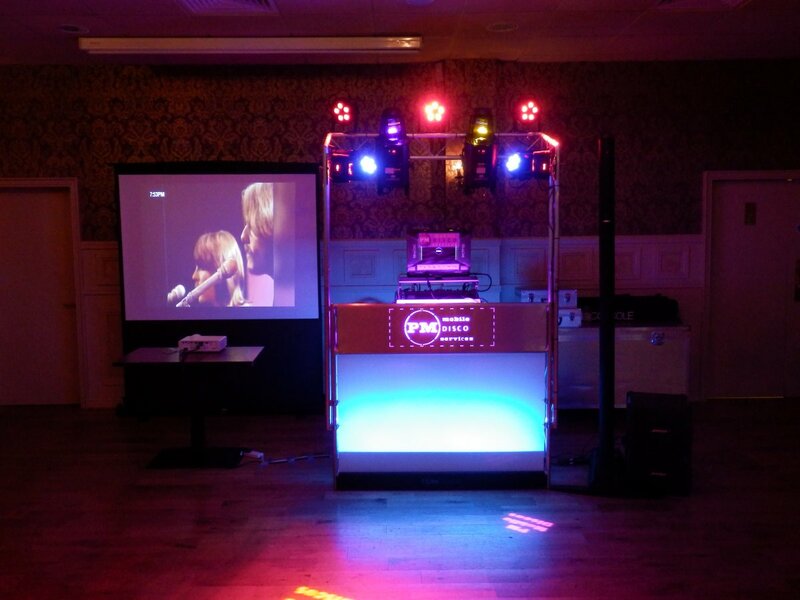 For many years, mobile discos have all offered 2 main elements - sound and lighting. This unique option, which I believe was the first of its kind in Northern Ireland, adds a third element to the typical disco package - big screen visuals! So what exactly is meant by 'big screen visuals'? 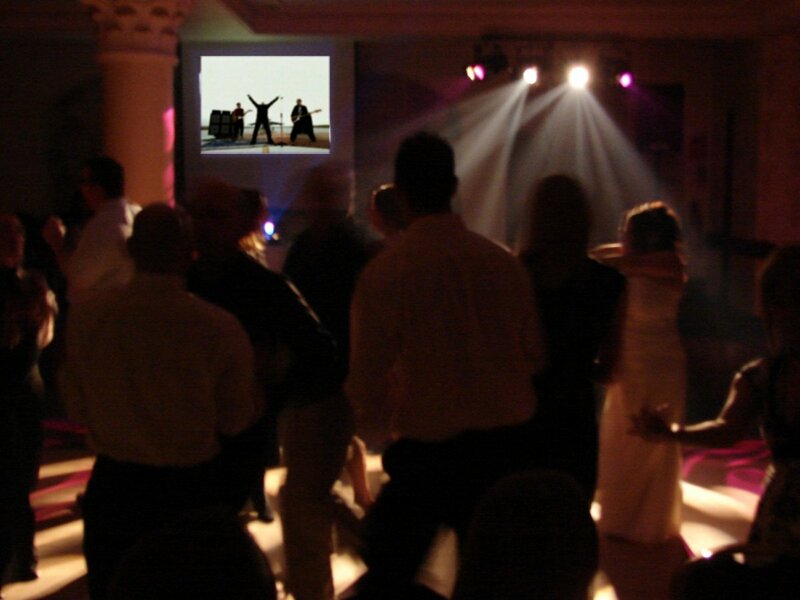 • Pictures from a live dancefloor camera! • Nightclub style visuals - e.g. lava lamp effects, swirling time tunnels, etc. including effects that are varied in time to the music. • Getting married abroad and having a party here for friends and family? If you can supply videos or photos from your wedding either in computer format (e.g. 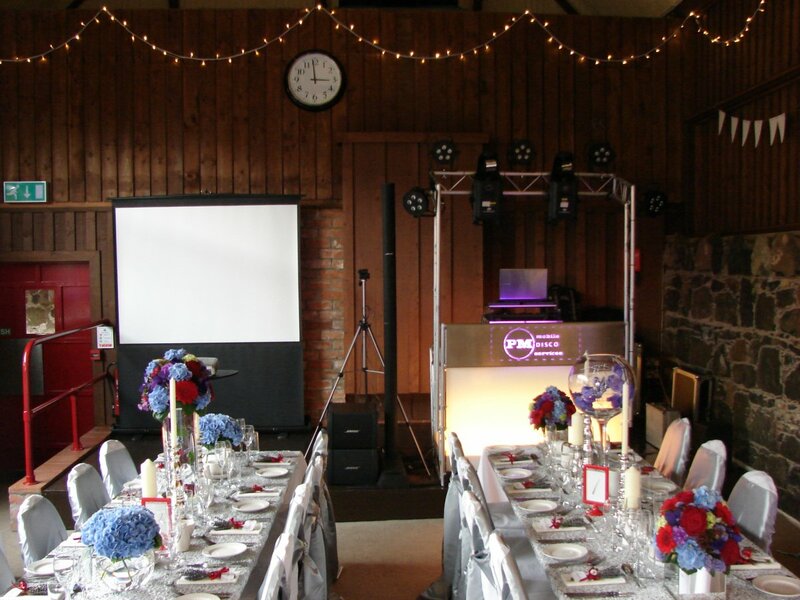 on a USB memory stick or CD) or on a standard DVD in advance of your disco, a slide show of your photos can be shown during your event. For example, you may want these shown on their own during the earlier part of the night, then mixed with some of the other visuals above later on in the night. This may also be an option for other events (e.g. to display photos of a birthday boy/girl at a younger age, etc). This option is generally unsuitable for small venues or venues where stage space is limited - if in doubt please ask. Also note that this option can be used either instead of or along with the DJ Booth integrated video screen. 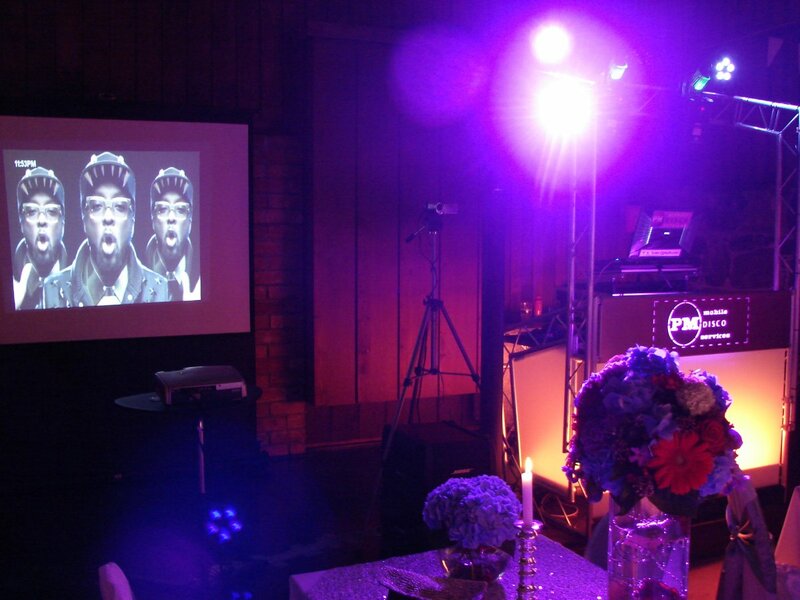 Where both screens are requested together they will both show the same images at the same time - an ideal option for larger venues.